Reintroduced with the launch of the Heritage range, Forte III features a 3-way design with a 12" woofer and horn-loaded Titanium diaphragm HF/Mid compression drivers. Earn 3990 loyalty points when you order this item. 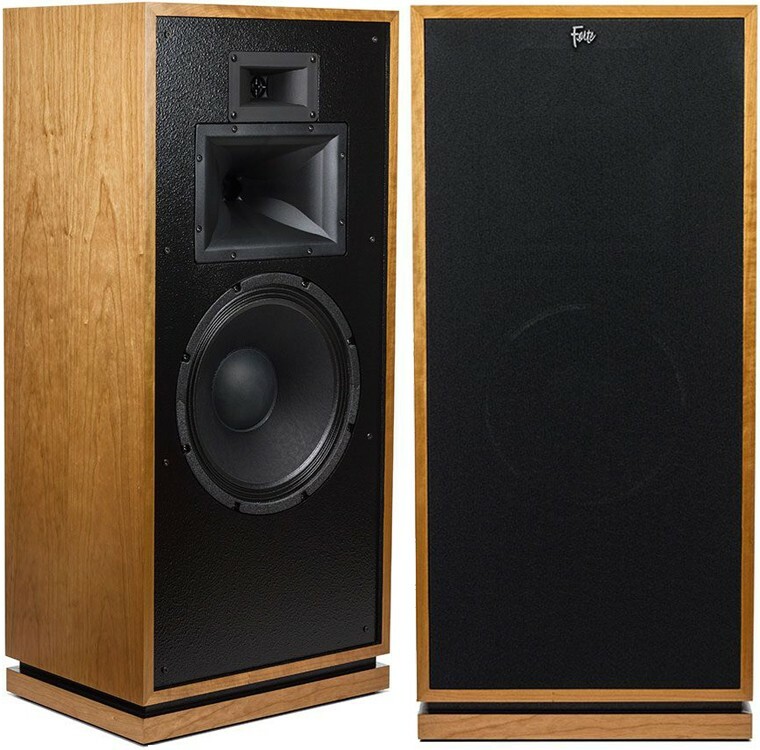 Klipsch Forte III speakers, reinstated as part of the Heritage series, features renewed aesthetics and cutting-edge innovations in acoustic engineering while retaining the original charisma that earned the Forte its huge popularity. 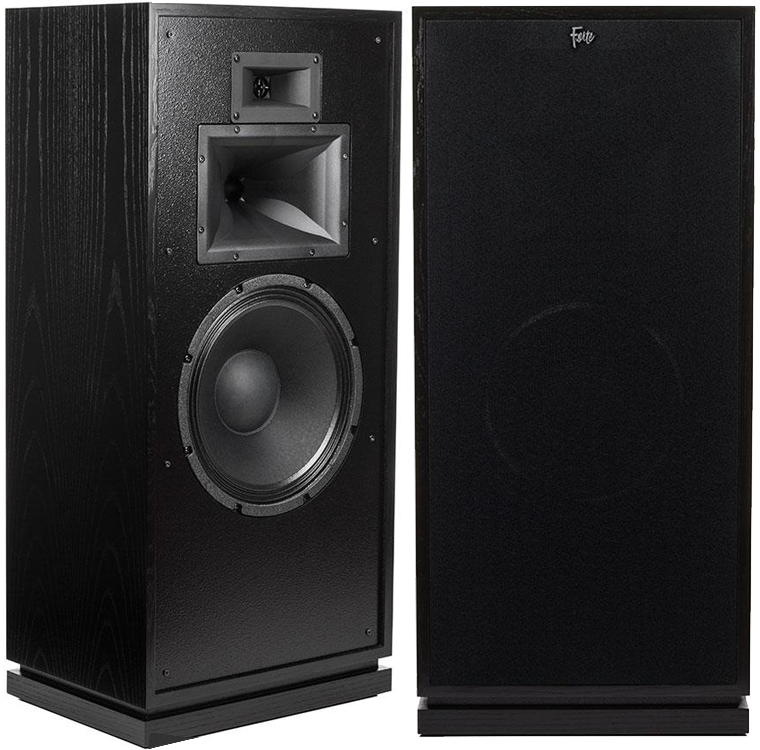 The Forte III speaker has been built around a three-way design, with a powerful 12” woofer, a newly designed midrange horn and a tweeter with titanium compression drivers ensures these speakers have a smooth and powerful output across the whole spectrum. Furthermore, the midrange driver uses a patented technology to improve the range and control of the mid-frequency harmonics. 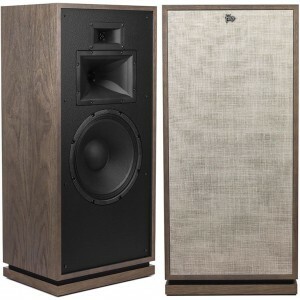 These speakers were first introduced in 1985 when Forte established itself as the most popular Klipsch model. The elegance of the design and the outstanding performance quickly established the Forte as a standout among its competitors. With the midrange horn, which they have developed from their own patented technology they have managed to significantly improve the response in the mid-frequency band. Listen to the Forte III and you will have an aural experience unlike anything else you have heard. By carefully using components that are produced domestically and imported, Klipsch has made some significant important upgrades to the Forte III, but the overall remains relatively unchanged the original Forte. 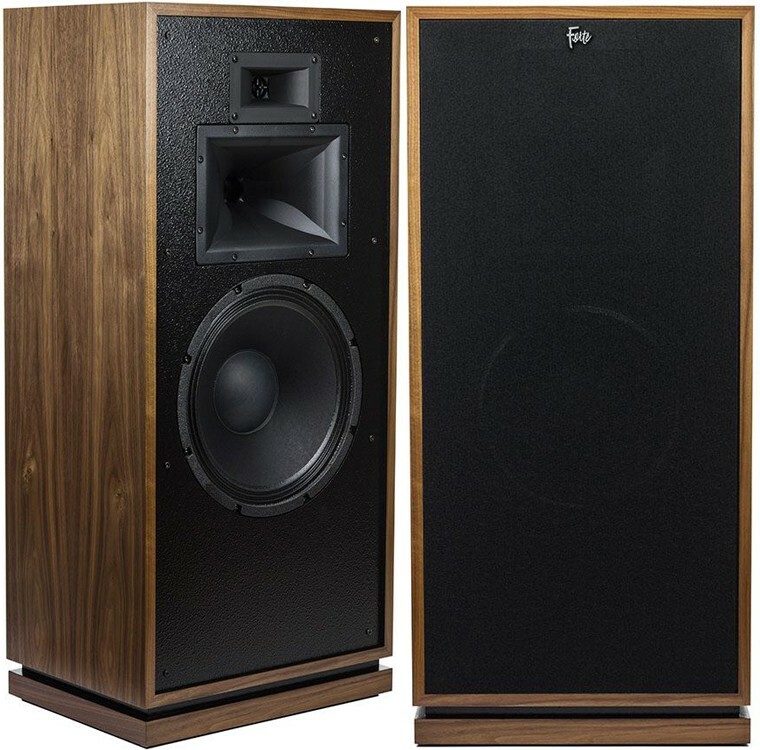 The Forte III cabinet is still constructed in the USA, by the supreme craftsmen of Hope, in Arkansas, just like Paul W. Klipsch (PWK) intended. Looking into the back Forte cabinet reveals Klipsch's secret to great sound. The Forte III utilises a rear-mounted passive radiator at the rear of the cabinet to extended the speakers bass response. At a huge 15” (38 cm) inches in size, the sub-bass radiator operates on the acoustic pressure the woofer generated to extend the bass output. To ensure that their speakers look good as well as sounding the best, Klipsch only uses book-matched wood veneers for their Heritage series. The veneering process is carefully considered to give the heritage series the best finish possible. When the veneer leaves are delicately sliced from the timber they are kept in order and arranged precisely to give a mirror image at the splice joint, similar to turning the pages of a book. The veneering process ensures the speakers are visually appealing and matched together with a consistent appearance that will be treasured. By using wood veneer panels that are grain-matched and cut from the same timber ensures the Forte III loudspeakers are not just good speakers but beautiful objects of desire. 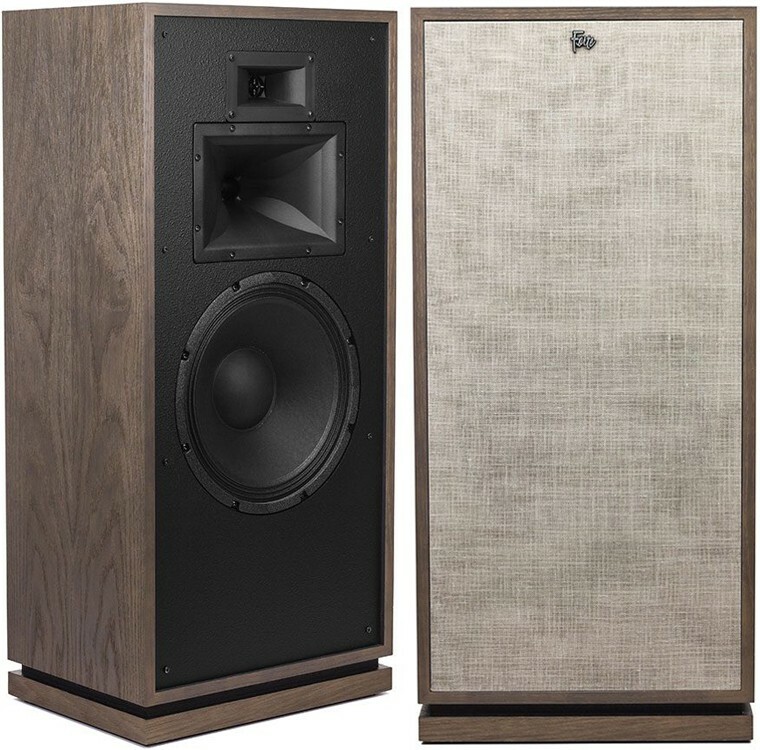 Each cabinet for a pair of speakers has been carefully selected to match to ensure that each speaker in the pair is practically indistinguishable from the other. In the production process, the speakers move around together through the factory. Standards are upheld by inspecting each speaker and labelling them sequentially, ensures that each pair of speakers that leaves the factory is a meticulously crafted matched pair. 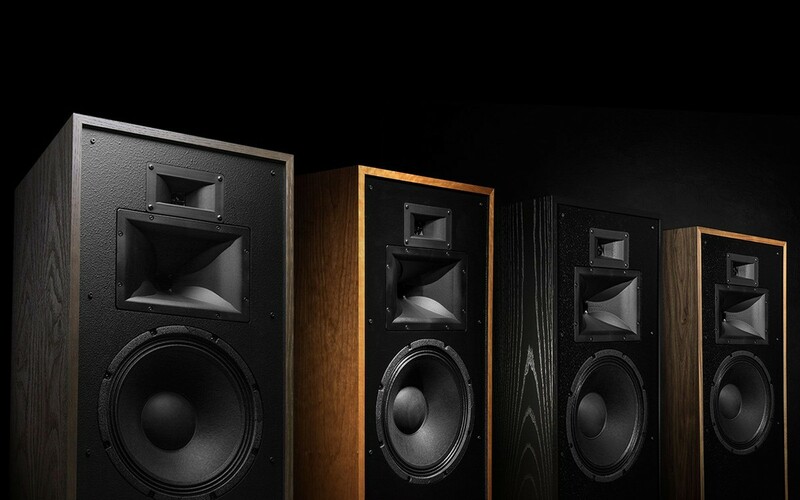 All Klipsch speakers are built to sound loud and great and have the longevity to stand the test of time. Using only the finest quality materials, including highest-grade adhesives and fasteners ensures that all the Forte III speakers are meticulously handcrafted. The idea is that this speaker that will be handed down to the next generation, for their listening pleasure too. Designed to fill large spaces with a room-filling sound without having to sacrifice too much floor space. At only 13" (33cm) inches deep, the Forte III is the thinnest speaker in the Heritage Series and smaller than the Reference Premiere floorstanding speaker, whilst still being capable of delivering an incredible, and robust sound. With four distinct real wood veneer finishes, finishes including Distressed Oak, Cherry, Black Ash and Walnut, there will be a finish perfect for your home décor. The terminals for the Klipsch Forte III are high-quality, heavy-duty bi-wired input terminals, for your preference.